We try to satisfy the needs of everyone: backpackers, travellers, groups, students, families and couples … We promote peace and quiet and our goal is to give our guests the possibility to taste again the simple things just as it was in the past . We wait for you! Our private house is a fully equipped vacation rental ideal for groups, families or few friends. It offers private kitchen, bathroom with shower, two comfortable double beds in separate rooms, ventilator, hot water and Wi-fi. The Garden View and the architectural design will make you feel at ease, like at home. Our romantic bungalows are beautifully designed and ideal for couples. Each of them has private entrance and Garden View. You Share the Kichen and all Hostel facilities but at the same time you have a private room apart from the social area. Travelers looking for peace will find in this room the perfect solution. 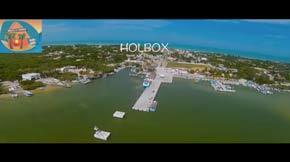 If you are really on a low budget or if you simply feel like camping in Holbox and pitch your own tent within a broad Caribbean Garden, then we are the location you are looking for. Included in the price you have access to lockers, electricity plugs in, communitarian kitchen and all facilities such as self-laundry and Relax Area. Hammocks all over, in the most remote and romantic corners of the property. Some of them are covered with roofs and other aren’t, but all of them are comfortable and protected by mosquitos nets. Chill out feeling the breeze and let the wind swing your hammock softly while you watch the sky. Access to kitchen and all other facilities. It's a french bed within an old fishermen boat. You will have a roof on top of you and will be able to feel the breeze. Covered with a mosquito net is the perfect spot for people staying for a while and willing to keep their privacy. It is located in the campgroung area, close to tents and hammocks. Sheets, pillow and covers included.